Elaine Schloss has announced the upcoming third show at My Own Little Gallery inside of My Own Little Corner Antiques at the Franklin Antiques Center, 142 Main Street, Nyack. The show will run from December 1 to January 30, with a special reception Friday, December 16 from 5 – 7 p.m.
Lynn Stein’s quirky, wonderful paintings, full of humor and pathos. Many of her figures are literally flying in their own vernacular. 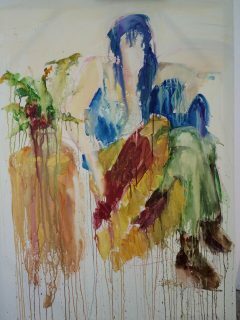 Jackie Fiore’s semi-abstract figural paintings. Critics call it transcendent. 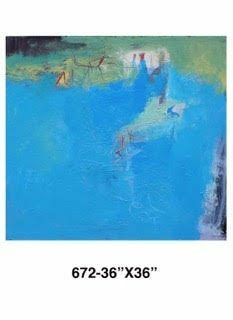 And gallery owner Elaine Schloss will display work that flaunt her exciting use of color, with an emotional depth informed by a lifetime as an actor, writer and painter. Attendees can also peruse the eclectic antiques and collectibles on hand at My Own Little Corner, perhaps looking for the perfect holiday gift for a friend or loved one.